Jive is a dance style that originated among African Americans in the early 1940s. 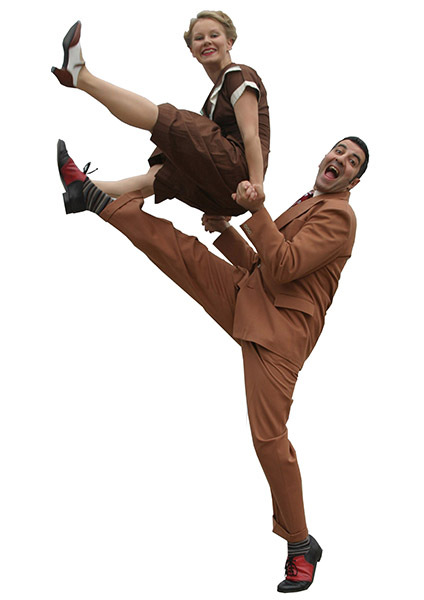 It is a lively and uninhibited variation of the Jitterbug that belongs to the Swing dance group. Modern Jive, sometimes called French Jive is a dance style that originated in the 1980s. It derives from Swing, Lindy Hop and may include Rock 'n' Roll and others, the main innovation being simplification of footwork. Moves from many forms of ballroom dance including Salsa and Tango may also be included. Modern Jive is generally danced to music with 4 beats to the bar from latest chart hits to Big Band music. Some styles may concentrate on particular musical styles, such as swing. Modern Jive is a male led dance but women are encouraged to ask men to dance. Get 2 private jive dance lessons for only $10! Singles or couples welcome. © 2015 All That Dance Studios in Louisville. Offering jive dance lessons Louisville KY. Try 2 private jive dance classes for only $10 and learn jive dancing in Louisville.